Known as the 9th largest country in the world, Kazakhstan’s terrain consists of flatlands, hills, canyons, deserts, snow-capped mountains and deltas. Expats moving to Kazakhstan will be met with warm hospitality from the Kazakh people, especially because the country is still in the process of becoming a tourist destination. The majority of the foreigners in Kazakhstan stay in the capital city, Astana. The Republic of Kazakhstan is an expanse greater than Europe. The world's largest landlocked country is the home of a wealth of natural resources from flora to fauna to recently tapped mineral and oil deposits that make it potentially one of the richest countries in the world. The territory is outlined by Russia, China, Kyrgyzstan, Uzbekistan and Turkmenistan and spreading from the Caspian Sea in the West to the Altay Mountains in the East and from the Western Siberian plains in the North to Central Asia's oases and deserts in the South. Its terrain consists of grass-covered plains, deltas, coniferous forests, hills, mountains, and deserts. Warm summers and cold winters alternating with semi-arid conditions characterize the country's climate. Expats will be impressed to know how far this fast rising oil power has come from its humble beginnings as a group of nomadic Turks who lived together under felt, dome-shaped tents. In 1920, it took membership to the Kirgiz Autonomous Republic of the Soviets and was then known as the Kazakh Autonomous Soviet Socialist Republic (Kazakh ASSR). Seventy-one years later when The Union collapsed, it stood proud as a member of Commonwealth of Independent States together with ten other former Soviet republics. In 1997, its capital was moved from Almaty to Astana. Kazakhstan houses some of the world's rarest or accidental animals, including the Transcaspian Urial, a wild sheep subspecies also known as Arkars or Shapo, long-needle hedgehog, the Pallas' and other smaller wild cats, the djeiran or goitered gazelle, and avians such as the Manx Shearwater, Northern Gannet and the Sacred Ibis. Kazakhstan's avifauna is, indeed, one of the most captivating around the world. Naturally, expats have always loved this part about relocating to the Eurasian wonder. The culture of Kazakhs is a storied one. Their nomadic roots gave rise to their belief that spirits roamed around, and that life was a confluence of forces of the earth, sky, water, and fire. It led to the development of Tengriism as an ancient religion. Sometime in the 17th century, they first learned about Islam, and it took centuries before this became the dominant religion. The Kazakhs feel beholden to lamb and other traditional Turkic foods that they consider sacred up to this day. Technically, they are considered Sunnis, which comprise the largest Islam group in the world. Their culture is highlighted by animal husbandry that is considered a traditional lifestyle and the yurt which is a traditional Kazakh housing found in the present day as decorative inspiration for home, restaurant and building interiors. Although the people have not forgotten their time-honoured traditions, Westernism has inevitably caught up with them as evident in nearly every aspect of their lives from architecture to fashion. A liberalized economy puts Kazakhstan on the map of soon-to-be oil powers, thanks to its vast mineral and oil resources that have been attracting foreign investment since the discovery of Caspian Sea oil nearly ten years ago. These deposits are said to be the most significant oil find in the last thirty years. Its economy is also dependent on its agricultural riches composed mainly of livestock and grains. The year 2001 was a significant development stage for the Kazakh economy, putting the Tenge (T), its currency, at its highest average worth against world currencies. Today, industrial policies continue to be proposed and honed as the country gears up for the promising economic prospects that lay ahead. Truth be said, expats who are looking for a harmonious mix of nature, tradition, modernity, and economic progress will make a good find of Kazakhstan. 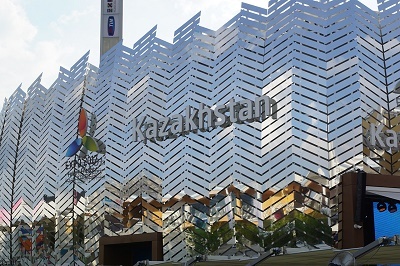 When relocating to Kazakhstan, a few documents must be submitted to Kazakh authorities, including a copy of the shipper's passport and visa, a valued inventory in English or Russian, a packing list, and a document proving the shipper is locally employed at the time of shipment. A few items are not allowed for overseas shipping into Kazakhstan, including all types of weapons, pornographic materials, illegal drugs and antique items. Some liquor may be accepted in certain allowable amounts. 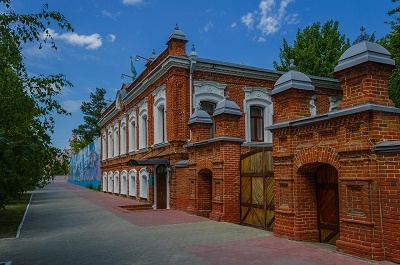 The complete lists of items allowed and not allowed for entry could be obtained from movers in Kazakhstan, which offer professional overseas shipping services. Cars for temporary import may be duty and tax-free while permanent imports will be charged. The shipper is expected to be in Kazakhstan with a valid visa upon arrival of the shipment. Temporary import of personal belongings will be tax and duty-free while permanent import of the same will entail charges. Food, electronics, and some other items may be allowed duty-free but within certain limits. When the shipment includes books, CD's, audio or videotapes, details must be reported separately, including the author or artist, date of release or publication, content, etc. Removals to Kazakhstan may require certain conditions to be met depending on the item to be shipped. These conditions are best known to removal companies that can offer expert advice to make the import process as smooth as possible. Overseas shipping can be a complicated task but with the professional guidance offered by movers in Kazakhstan, this barely becomes a problem for expats. Kazakhstan hasn’t always been a well-known expat destination considering its grim past during the Stalin-era. It is until it gained sovereignty from the Soviet Union in 1991 that this land-locked country made its name across the world. Today, life waits for foreign assignees that are brave enough to discover the wonders that are hidden in this oil and uranium-rich nation. Kazakhstan is the world’s ninth-largest country with a total land area of more than 2.7 square kilometres. Though this massive nation is known for its vast featureless steppe and evident lack of historical sites, many foreign companies and workers are still attracted to venture here. This country has a total population of 17.8 million, and a majority of expats live either in the former capital, Almaty or in Astana which is considered as one of the world’s coldest cities. Kazakhstan is a nation that possesses a beautiful blend of European and Asian influences. It boasts majestic mountainous regions and Soviet architectures that stand proudly amidst modernisation. Kazakhstan is the largest landlocked country in the world and it offers everything in a great scale. This Goliath nation is blessed with sparkling glaciers, vast woods, picturesque canyons and emerald coloured lakes which means that the locals’ idea of fun is being close to Mother Nature. Situated just 15 kilometres above the former capital Almaty is The Medeu, the highest sports complex and skating rink on earth. The Medeu boasts an Olympic size ice stadium and a mountain-water swimming pool that attracts top skaters from all over the world. Another top attraction in Kazakhstan for winter-sports lovers is Chimbulak which is a top spot for skiers who want to mountain climb and hike while enjoying the great view of the Alpine routes. Situated south-west of Astana is the Korgalzhin National Park, the largest reserve zone in Kazakhstan where kids and adults can relax while being surrounded by vast grass steppe and two scenic lakes. Those who love marine life can also visit The Aquarium of the Entertainment Centre (Duman) in Astana, the one and only aquarium in the world located 3,000 kilometres away from the ocean. It houses over 2,000 sea animals and more than 100 species of sea fauna. Valid international driver's licenses may be used for driving around Kazakhstan. However, a Kazakh driver's license must be obtained by residents who live in the country for more than six months. Driving in Kazakhstan is on the right side of the road. This country also has zero tolerance for those who will be caught driving under the influence of alcohol. Violations such as non-use of seatbelts, speed driving, and using a mobile phone while driving are fined the initial fine for the first offence and are fined higher when repeated during the year. Use of special lights and vehicle sound signals are also considered as traffic violations in Kazakhstan. Driving in Kazakhstan can also be a bit tricky since some rural roads are under maintained and can be dangerous especially during winter. The The National Bank of Kazakhstan is an independent institution that functions as the country's regulator of monetary and credit policy. Its thrust is to control and regulate the banking sector and ensure the stability of the national currency. A valid passport and Kazakh tax registration certificate are required to open a bank account. Banks are open from 9 am to 6 pm from Monday to Friday while some branches are open on Saturday mornings. The four largest banks in this country are Kazkommerstsbank, Halyk Savings Bank, Bank TuranAlem, and the Dutch ABN Amro. Foreign banks are beginning to penetrate aggressively the banking sector of Kazakhstan, and some have been successful in capturing some clients away from the smaller local banks. One thing an expat in Kazakhstan needs to learn when living among the locals is respect for hierarchy, especially in the family. 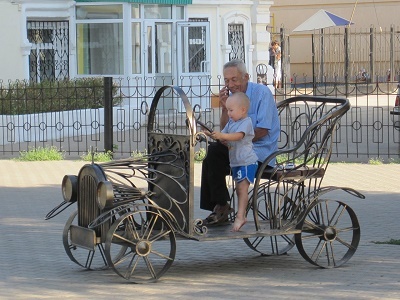 People in Kazakhstan are very particular about social rankings and disrespect for a senior is considered a grave offence. Locals can also be very superstitious and re always careful about "evil forces" which are believed to have the power to influence their day-to-day lives. To fight these forces, Kazakhs rely on charms and amulets. Kazakhs also like to entertain people in their homes and their hospitality has been one of their most popular traits ever since. An expatriate in Kazakhstan, who is honoured with an invitation, should not be surprised to be served bread that is considered sacred in this land. It is acceptable for a guest to be late for less than 30 minutes. However, anyone who expects to be late for such an invitation is expected to make a call informing the host of the late arrival; not doing so is considered rude. The Kazakhstan culture is also deeply influenced by Muslim which is practiced by 47% of the population. Never offer an alcoholic beverage to practising Muslims and do not be surprised if Kazakhs men do not shake hands with women because it is not a practise in their religion. They are also quite conservative when it comes to clothes so avoid clothes that show too much skin.